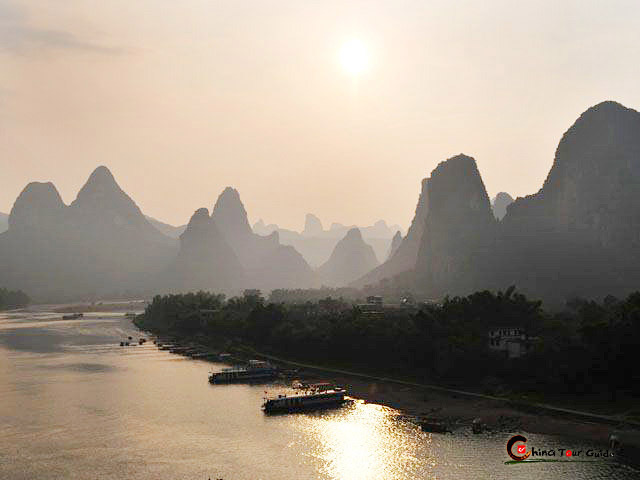 In the city center on the western bank of the famous Li River sits the elegant Diecai Hill(In Chinese it means Folded Brocade Hill) . 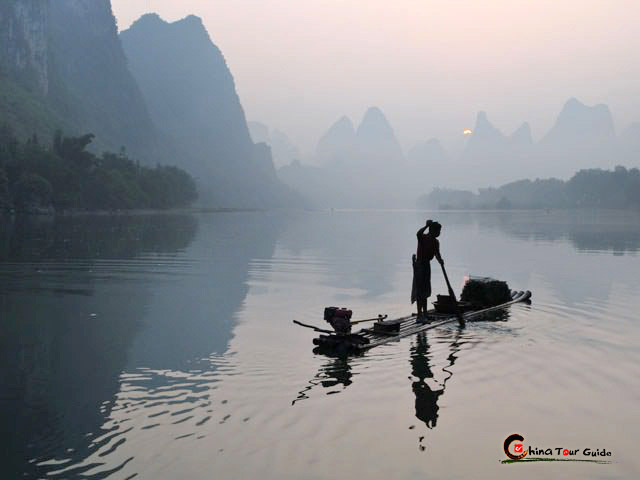 It covers an area of approximately 2 sq km, and consists of Yueshan Hill, Look-on-All-Direction Hill, Crane Peak and Bright Moon Peak. It is a hill of many names and stories. 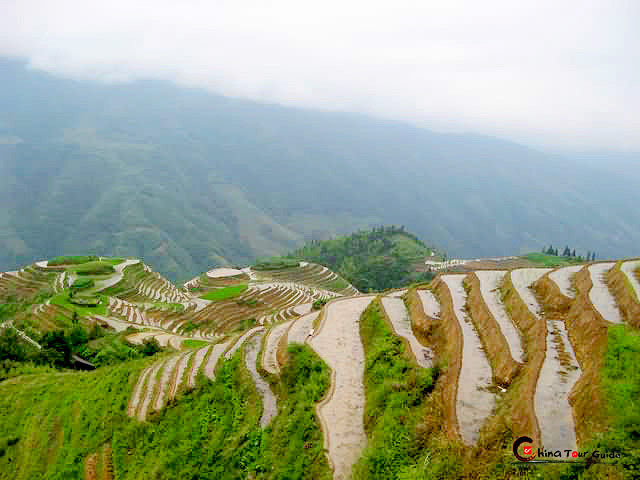 It is known as Folded Brocade Hill because of the many rock formations piled up layer upon layer. Legend says that there used to be many osmanthus trees on the hill, so it is sometimes called Osmanthus Hill. Water reflection of the Diecai Hill. Strolling around at the foot of Diecai Hill. There are a lot of tourist attractions at the hill. Halfway up a particularly strange cave named Wind Cave runs through the hill. The cave is calabash shaped, with two wider mouths and narrow passage, which only allows one person to pass through at a time. A cool breeze blows through it all year round which gave it the name Wind Cave. Inside the cave are 90 Buddha sculptures from the Tang and Song dynasty, as well as dozens of ancient stone inscriptions. Along the narrow stone path up you will find the Face-the-Cloud and Over-the-River Pavilions, which provide well-needed stops along the arduous journey to the top of the Bright Moon Peak. The Bright Moon Peak is the summit of the hill, where the Catch-the-Cloud Pavilion stands. 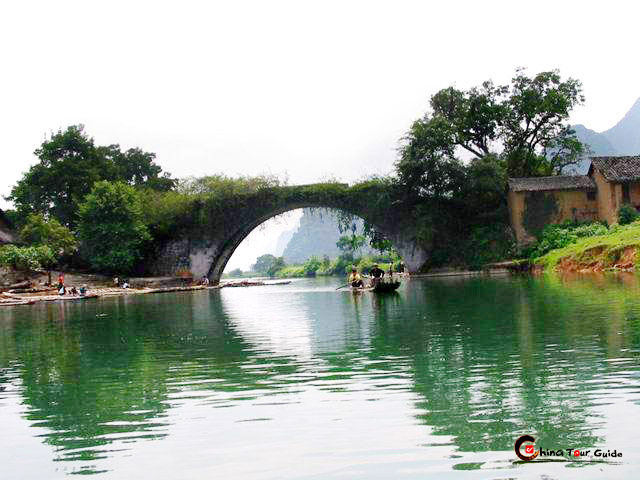 Standing on the pavilion, visitors can get a finest view of Guilin. The scenery is rewarding and looks like a huge picture of embroidery.